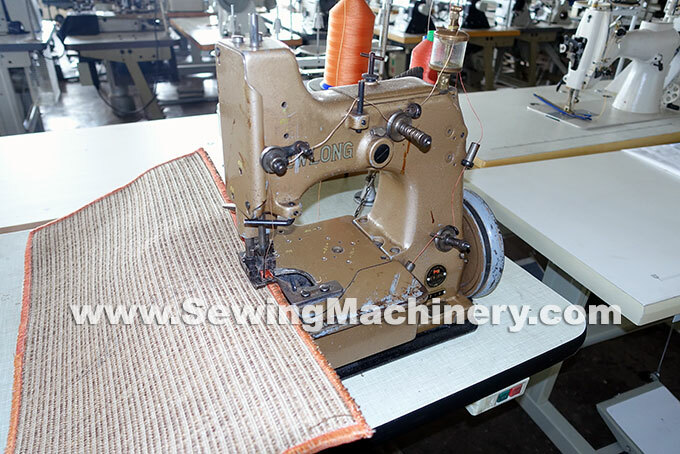 Single needle plain feed flat bed three thread over seaming stitch machine for over edging carpets, rugs and mats. 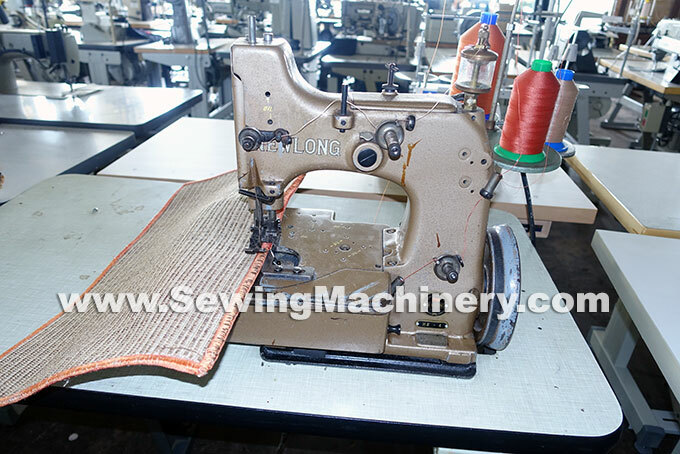 Model HR-4 Extra heavy duty carpet overlock sewing machine designed especially for over edging thick carpets. With unit stand and heavy duty industrial clutch motor.